Guess what? 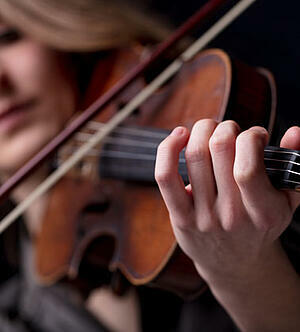 Now that you want to forge a career as a professional violinist – you are both a product and a service! 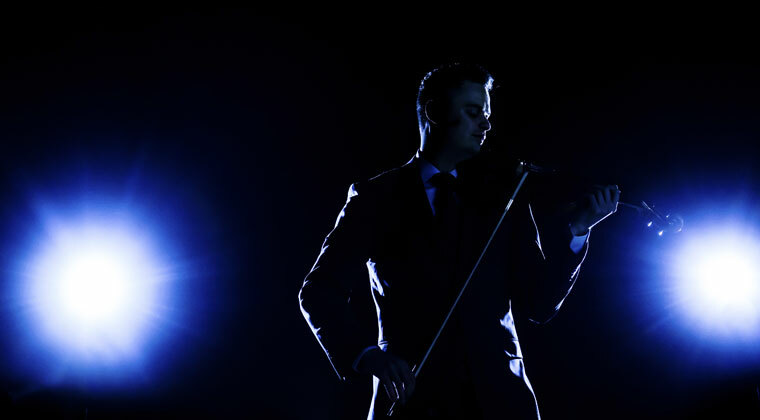 In order to create a “marketable package,” today’s violinists must work as much on cultivating an onstage persona as they do on their musical attributes. Creating an onstage persona that you can brand and promote is your new focus in life. So, consider yourself a brand name already, and treat yourself to a DIY marketing experience that ensures the way your look, style, fashion choices, public relations, and even the concert music selections you make, all reflect your brand. Thus, you want to “package” them in a way that makes you immediately recognizable from peers and competitors, and engages your target audience, as well as the audience in the concert hall. When you succeed, your brand will work for you 24/7 – even while you’re sleeping, on a plane to the next gig, or rehearsing backstage before your Carnegie Hall performance. And, don’t worry; even the shyest of performers can follow this step-by-step on how to brand yourself. Whether you think you do or not, you have a personal style. Some violinists find their day-to-day style transcends to the stage. 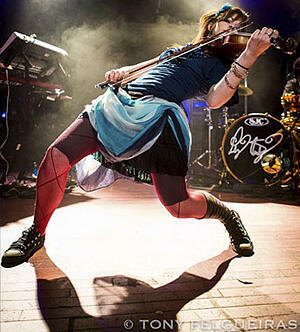 Other violinists discover they have an alter-ego of sorts that emerges when they play. Either way, distilling your style is integral to developing your brand. Imagine the telltale box of Wheaties – a distinct shade of orange, a “breakfast of champions” slogan, and an unlimited supply of award-winning figures makes Wheaties boxes instantly recognizable from the substantial array of cereal boxes in grocery store aisles. 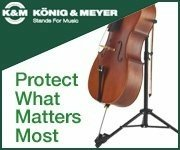 Your brand should have this same essence of individuality, becoming instantly recognizable, from other violinists and string musicians in the pack. Distinguish yourself from the masses. 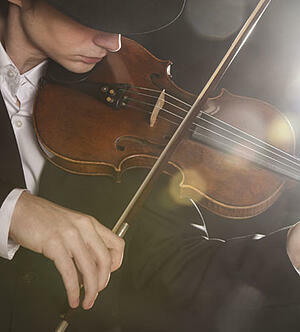 As a violinist, you have a lot of competition so customizing your style helps to set you apart from the rest of the soloist and small-group competitors. Identify your niche audience. Consider violinist Amadéus Leopold (a.k.a. Hanh-Bin). His prolific talent garners a broad audience, but his unique persona makes him a tried-and-true favorite with a specific Your branded style can cultivate a niche-audience, as well as a wider group of general fans – a better way to build consistent concert attendees, loyal social media followers, and merchandise sales. Foster audience connection and engagement. Personalization fosters connection, which fosters audience engagement – and that yields a more involved and dedicated fan-base. It adds more life to the music. Any established violinist plays Bach, right? But famous violinist Johnny Gandelsman is known for expressing Bach in new ways, in addition to promoting inventive, contemporary pieces. This is the type of unique spark you want to add to the mix. Once you’ve established an onstage persona, you’ll embody it more and more as you play, and this adds new color, texture, and life to your performance pieces. You’ll be easier to package (e., more marketable). Ultimately, you’ll be more marketable because a distinct persona makes it easier to select branded and recognizable color schemes, images, etc., for the website, social media posts, and promotional materials keeping everything streamlined and fluid from platform to platform, and image to image. If you’re having a having a difficult time honing in on a distinct, personal style, enlist the help of a stylish friend or family member who will delight in the task. Not surprisingly, part of this process will be establishing a personal dress code. Now that you have an idea of the persona you want to project to the world, it’s time to curate a relevant wardrobe. Your fashion choices – which includes hairstyle, makeup, and accessories - are the most visible means to create an impressionable and recognizable brand. 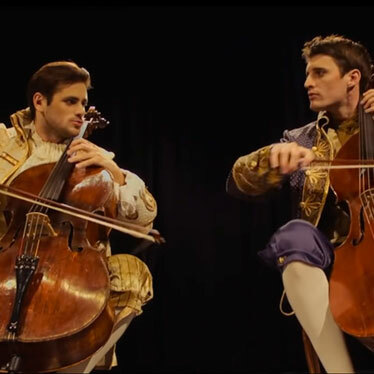 Historically, famous string musicians used standard concert dress (black or dark colors and formal attire) while performing. That’s no longer the case, especially since rising musicians have to make a bigger social media and media-in-general splash (more on that later). The colors and patterns that look best on you (and stand out from backgrounds/on stage/in photos/etc.). Seasonal selections that ensure comfort and breathability in both the coldest and the hottest of venues. Your audience’s ethics/values. Too much skin/cleavage/over-political or offensive slogans on clothing, etc., may repel fans and prospects. On the flip side, many younger artists make politics and personal values a part of their brand. Previously referenced Lindsey Stirling and Amadeus Léopold are not known for hold-back approaches and yet they are highly successful string musicians. Ultimately, you’ll decide how much of yourself – and how much of your target audience’s leanings – factor into the brand image/style you promote. Fabrics and cuts that allow you to move freely while you play. You want to be comfortable and able to maintain proper playing technique, while still exhibiting personal flair. That creates a segue to the next element of your onstage persona. Imagine attending a performance of your favorite performer,only to have him/her schlump out onstage and provide a ho-hum introduction (head down and voice so soft you can barely hear it) before beginning to play. 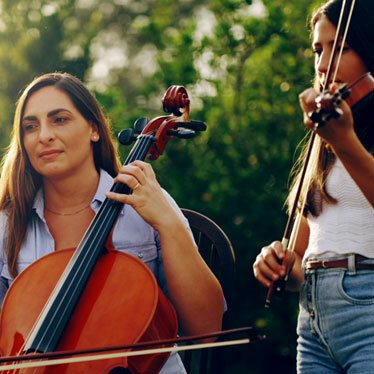 Whether you want to or not, your opinion and feelings about the musician are bound to shrink a bit because ultimately, we humans are attracted to a certain level of confidence and physical mastery. For this reason, the way you move and speak onstage and in front of the public’s gaze is vital to your overall brand. If you are a naturally expressive mover or dancer, consider translating that in a way that makes sense in your performances. And, since movement is inherent in your violin bowing and posture, remember that fatigue is a risk too – a weary performer will convey their depletion to the audience whether they want to or not. Make sure you’re eating well and getting plenty of exercise, so you have the stamina for longer solo performances and rigorous concert schedules. Things like yoga and Pilates develop strength and stamina, are easy to do in a hotel room or during a practice break, and also help to cultivate smooth, coordinated and graceful movement. As a professional violinist, you will have to speak in public. 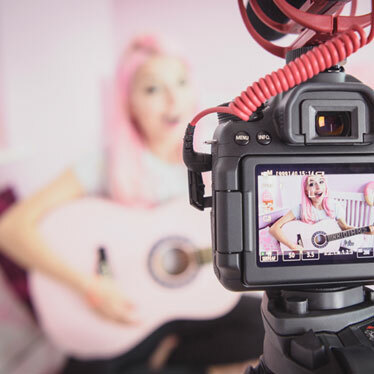 This ranges from introducing yourself at auditions, on videos, onstage, in interviews, between the pieces you play, and during face-to-face interactions with fans. For this reason, it’s worthwhile to develop your speaking voice so that it’s regulated, confident, and expressive. This can be difficult for introverts, those who are shy or who have an innately quiet voice, and even extroverts may find they struggle when continuously engaging with strangers and people outside their typical age/socio-economic/social bracket. One of the best ways to practice both speaking and interacting with the public is to start busking. You’ll encounter all manner of people and situations, have to answer countless and repetitive questions and – alas – may also have to navigate offensive or sticky encounters. All of these situations are great opportunities to practice gracious diplomacy as a public face and brand. The words you choose, and how you say them, carry weight. Even more important, however, are facial expressions and physical gestures. Psychologists continually emphasize that body language is more expressive and communicate more significantly than the spoken word, and facial expressions/postures are remarkable when it comes to communicating the inner-mind and connecting (or not!) with your audience. Rehearse playing and speaking in front of a mirror. Record yourself introducing a piece, telling a story about yourself or the composer, and playing the violin as if you were on stage. Watching it back allows you to view yourself – facial expressions and body language – with a more objective lens. Use what you see to practice more neutral – or more passionate – expressions. In terms of public relations – a smile is worth a thousand words, and your neutral expression and lack of intense emotion if/when you’re confronted directly goes a long way towards building the esteem and respect of your followers. 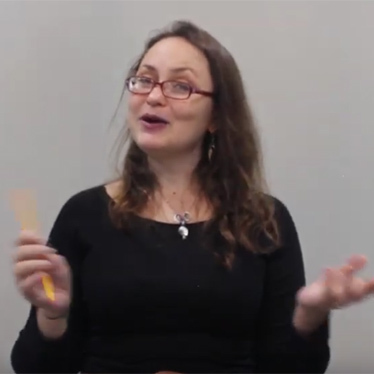 If you’re shy by nature – or if you tend to be hot-headed – work with your partner, family member, or a trusted friend to host “practice interviews” or simulated scenarios you could encounter at a concert, during an interview, or engaging with fans and the public while entering/leaving a venue to cultivate practiced responses. Ultimately, the goal is to be so successful that you hire professional agents and marketing managers to handle branding and marketing for you. In the meantime, you have to learn how to market yourself. First, elicit the services of a professional photographer, so you have access to good PR photos. Until you have a more expendable marketing budget, optimize a single photography session by preparing for multiple wardrobe and hairstyle changes. A photographer specializing in publicity and headshots knows to put you in a variety of settings so you can use the photos for both present and future marketing needs. While digital media reigns supreme, there is still room for paper-based promotional materials. Have professional-quality business cards made so you can hand them out. With your persona in mind, your well-designed business card also gives the recipient a visual “flash” of your brand. Mail-friendly postcards that can be sent out, and placed in public locations, as well as attractive posters, are all necessary to get visual brand imprints out and into the public eye. If you aren’t super techy, you can design a simple and effective website for free using online tools such as WordPress, Squarespace, or Wix. Even a basic website design is a good start (a more persona-driven design is optimal), giving people a place to land when they search for you online or to contact you to book upcoming gigs. From radio stations and newspapers to universities and smaller publications, the more you interact, and familiarize yourself, with local advertising venues the more likely they are to promote you. To that means, learn how to write compelling bios and press releases that will get the word out about you, upcoming performances, releases, etc. The better you get at writing them, the more likely they are to stand out and make it into print. An active and positive social media buzz is the cornerstone of promoting yourself, your accomplishments, and upcoming engagements. From Facebook and Twitter to Instagram and Snapchat, it’s time to get your public persona out there. Doing so will keep those seats filled from venue to venue – and there’s nothing like sold-out performances to boost your allure. Important Note: Your public persona should be separate from your private life – and this ultimately protects you as your fan following and fame increase. With that in mind, create and maintain completely different accounts for each – and use your public/professional accounts for promotional and professional purposes only. 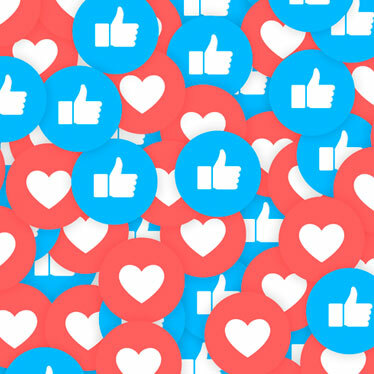 Remember that the totality of your social media posts are searchable and share-able (as you want them to be to grow followers, likes, and thumbs-ups). They become part of the historical digital record, so-to-speak. Therefore, make sure anything you post, say, type, or share is an impeccable representation of your brand. The majority of this guide is dedicated to creating your onstage persona via marketing and promotional tips. Now it’s time to talk about you as an onstage performer and the musical compositions you select for each performance. Your music selections and playing style are essential to your branding. Even the most astute violin composers play homage to classical greats when they’re on stage, so it’s smart to find a balance between the musical selections that inspire you most. If you’re a composer, then start adding in compositions most likely to help build your career. Remain open-minded about all musical traditions, not just your own. Don’t be afraid to explore new music. Do not be vain about your talent but cherish it as a gift to be shared with the world, holding a delicate balance between arrogance and humility. Imagine some of your favorite concerts – classical or otherwise. Most likely, you appreciated a mix of the familiar songs you know and love, becoming inspired by the energy and artistry imbued by the live atmosphere, as well as some new songs or new arrangements you’ve never heard before or are less familiar with. Keep that in mind as you choose the program for your solo performances. If you write your own music, it may be wise in the beginning to flank your pieces with others that are familiar but blend well or have similar themes. That way, your compositions become part of a greater, well-planned musical medley. Over time, and as your audience and following build momentum, you’ll be able to add more and more of your pieces into the mix. If you’re performing in a venue where you have a say in lighting and set options, work with their backstage crew to create set, lighting, and other technical accents that align with your brand and the emotional affects you want to create during the show. Don’t let fame take you by surprise, and don’t be so lackadaisical about your career that it never has the chance to sweep you off your feet. 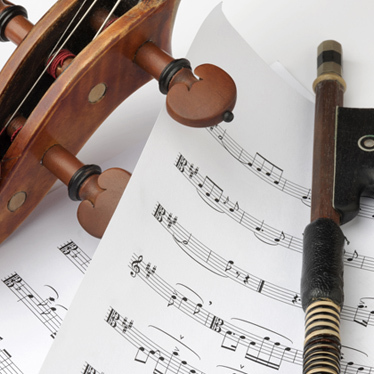 Building a career as a solo violinist requires proactive planning, methodical and sometimes tedious self-promotion, and constant social interaction. In the beginning, you’ll have to be equal parts violinist, marketing manager, and PR representative – and that takes some getting used to if business isn’t your strong suit. Branding yourself requires practice, too! Curating a wardrobe to support your persona. Working on movement and body language, facial expressions, and a confident public speaking voice. Learning the DIY marketing ropes regarding visible branding strategies, promotional tools, and how to optimize digital and social media tools. Curating the best pieces of music (both recorded and original works) that integrate with your brand, engage the audience, and build professional momentum. Becoming a public figure is a commitment and a calling. It’s hard work and it’s not for the faint of heart. However, if you feel and hear “the call,” honor it, seeing your name in lights, feeling the powerful energy that results from an engaged and inspired audience, and hearing the roar of the crowd, makes it all worth it.